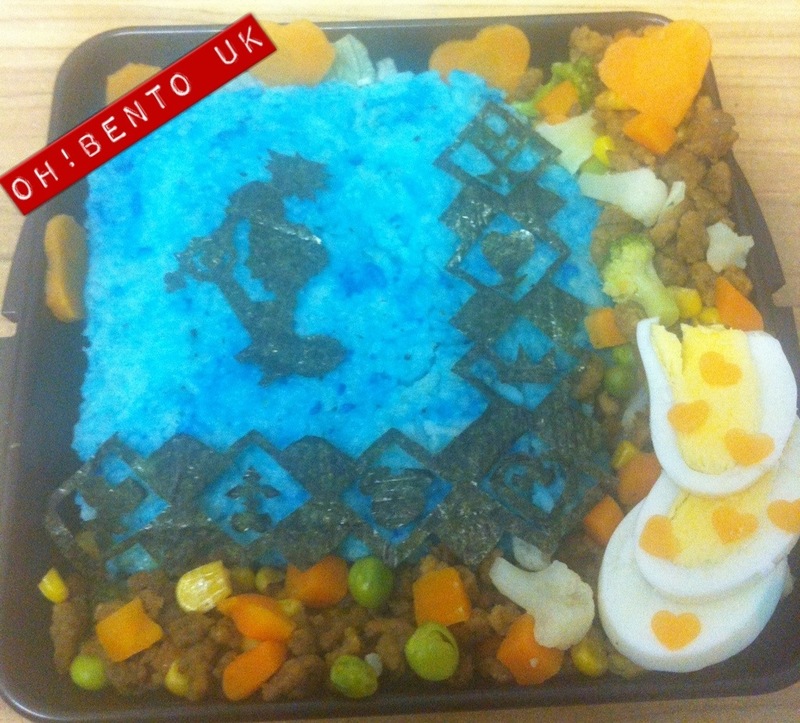 It contains, blue rice with nori Sora silhouette and the Kingdom Hearts symbols. Meatless mince with mixed vegetables and hard boiled egg. FIDDLY BITS!!! I love it! Your fiddly bits are beautiful! Love how you cut out the nori! Such detail! Love it! The fiddly bits must have taken forever to carve out! This is Jack’s absolute favourite game series (that we allow him to play) he has it for multiple systems. He is going to pass out from the awesomeness when i show him. Jack has great taste! It is the best game series ever!